Ivan Radebe serves as a director on the board of the Nuclear Energy Corporation of South Africa (Necsa). 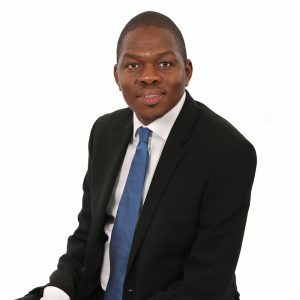 He is the Managing Director of Ketlaphela Pharmaceuticals SOC Ltd, where he also serves as an executive director on the board of directors. He is a member of the Engineering Council of South Africa (ECSA) and the Institute of Directors in Southern Africa (IoDSA). He is an internationally trained and experienced executive with expertise in Asset Maintenance & Management, Infrastructure Project Development, Sales & Marketing, Operations & Strategic Leadership. He previously worked for PetroSA, the National Department of Public Works, General Electric, Eskom and NTP Europe in Belgium. He holds a Masters in Strategy and Project Management from Université Paris 1 Panthéon-Sorbonne, a B-Eng(Honors)- Electrical/Electronics from the University Teknologi PETRONAS, a National Diploma in Electrical Engineering from Vaal University of Technology, MDP from UNISA and EDP from University of Stellenbosch Business School.